Auto shipping companies make it easy for vehicle owners to transport cars domestically and overseas in a smooth and fast manner. 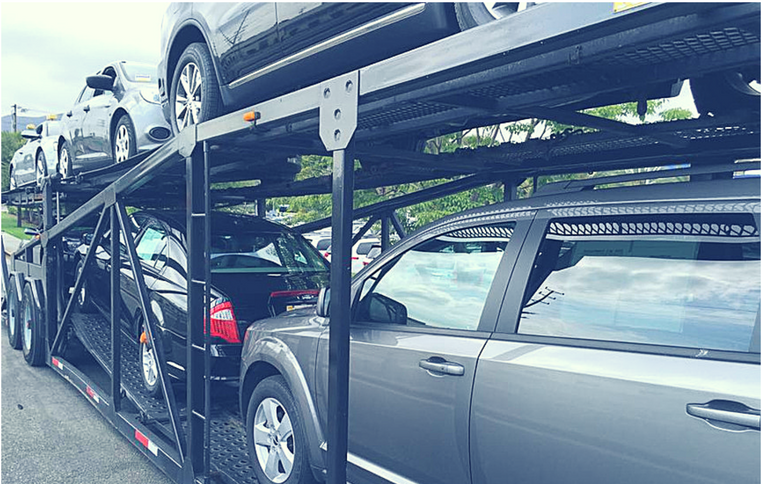 Whether you are moving to a new state or migrating to a different country, you can take the help of a reputable auto shipping company to get your car and other vehicles transported. However, you need to learn more than a few facts before hiring an auto shipping company. In this blog post, we discuss five factors that influence auto shipping cost. Auto shipping, like other industries, has its highs and lows. Auto shipping companies generally charge more during winters due to the snowbird season when the road conditions are harsh and driving can be dangerous. In comparison, driving in summers is safer and most auto shipping companies are willing to offer their services for lesser prices. It goes without saying that the farther the vehicle needs to be transported, the more it will cost; however, the type of location also matters. If, for instance, you need to ship your vehicle to a location such as New York and it happens to be one of the most used routes for the auto shipping company, they may offer a reduced auto transport quote. If your vehicle is to shipped to a rural area, where the shipping provider may have to move away from their main route, they may ask for more fees. Auto shipping companies offer different types of shipping methods to cater to diverse needs and budgets. Open shipping, for instance, is the most popular and budget-friendly way to transfer cars within the states. Your car, however, is not protected from debris and weather conditions. Enclosed shipping offers complete protection from the elements, but is more expensive. Similarly, door-to-door transport costs more than terminal-to-terminal shipping services. Most auto shipping companies work on economies of scale. If the company does not have enough cars to fill the container in which your car will be transported, it might not be able to generate the same amount of revenue. To cover its costs, it will have to inflate the auto transport quote. Last, but not least, the type of vehicle is another factor that may influence an auto transport quote. This is because the bigger a vehicle, the more space it occupies. If you need to transport an SUV or a pickup, you might have to pay more than when looking to transfer a hatchback. A 40 ft container has space for 2 to 4 cars. Transporting a big car might leave less free space in the container, affecting the total number of cars that can be transported. There are other factors that can influence an auto transport quote. These include how fast you need to get the auto shipped and whether you need to transport personal belongings with it. Learn about all these factors in detail from one of our experts at EasyHaul and choose an auto shipping method that best suits your needs. To speak to one of our representatives, call us at 1(360) 597-9320. For information related payment, pickup, and delivery, click here.